The Internet of Things (IoTs) is here to stay. Responsible IT management can navigate businesses through the growing universe of IoTs in the workplace while simultaneously ensuring the twin goals of data security and improved productivity. An industry that is predicted to hit nearly $250 billion in market size this year can no longer be hailed as an industry of tomorrow. With a staggering 20.3 billion IoT devices in use by the end of 2017, IoTs are not simply fun devices that you wear or hook up to your home networks, like smart home systems and smartwatches. They have moved on from the home and permeated the workplace where they are embraced by a technology-savvy global workforce. The application of IoTs to the workplace – be it in manufacturing or in the service industries – is poised for even faster growth. According to Accenture, industrial IoTs could potentially add $14.2 trillion to the world economy by 2030. 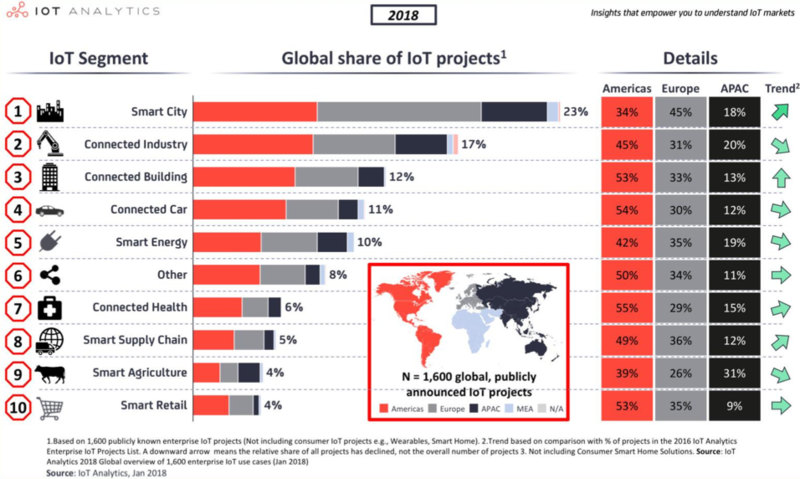 The IoT revolution is currently spearheaded by the U.S., closely followed by China, Germany, and the United Kingdom. As IoTs become more accessible, they will transform business operations, workplaces, and daily lives and will require businesses to understand the risks and the rewards of using IoT devices. People worried that the Industrial Revolution would result in replacing workers with machines, and these fears have resurged with the growing popularity of IoTs. However, 87% of business leaders believed that the Internet of Things will actually lead to a net creation of jobs, and 46% expect IoT to improve employee productivity. Many IoT devices in the workplace focus on energy savings and contribute to keeping the planet green and clean. Smart blinds manage natural light at the workplace to reduce the need for artificial lighting, thus reducing energy consumption. Similarly, smart lighting fixtures make sure that lights are turned off automatically when users leave meeting rooms. Smart thermostats, such as Google’s Nest, learn from your average heating or cooling settings over time, factor in the ambient temperature, and set rooms at the optimal temperature that balances comfort and energy savings. The University of California Riverside claims that switching to smart grids for electricity generation and distribution can reduce greenhouse emissions by 211 million metric tons and save $600 per year in energy bills for the average household. The total value of energy saved with smart grids is estimated to be $42 billion in one year. AT&T shows how it saved close to $1 million in energy costs by adopting an IoT Enabled Building Energy Management system across all of its facilities in 2017. Companies are also using IoTs to help employees manage their health, making getting healthier an organizational priority to keep insurance premiums low. IoT-based fitness trackers can play a central role in measuring and recording employees’ activity. Although IoTs tend to have a higher upfront cost with acquisition and installation than their non-smart rivals, the long-term cost savings that IoTs bring to the table make them worthwhile. IoTs have the power to usher in a new era of productivity, efficiency, and cost savings, poising the industry for explosive growth in the next couple of years. However, this proliferation of IoTs – both personal devices belonging to employees and company-owned devices – can put unnecessary pressure on the company network in terms of incompatible traffic protocols and security vulnerabilities. A platform such as Cloud Management Suite helps IT managers make a quick, real-time inventory of all devices on the network. It also automatically scans for critical issues on each device in the network and sends out regular patches to all devices without the need for manual intervention. Companies that choose to integrate IoTs into their workplace need to consider the risks that come with IoT devices being connected to the company network and work with their IT department to develop strategies to mitigate these risks. In the midst of all this rapid IoT growth, it may feel like companies are forgetting the basics of keeping us and our data safe from malicious forces. Devices, such as smart refrigerators, are sometimes built without considering the security implications on the larger context within which they will operate. With IoT, the security risks are graver than emails with suspicious attachments; many of these devices store our health data, financial data, or even access codes to secure manufacturing plants. Without the proper security measures in place, hackers could seize and misuse this information. IoT devices are especially vulnerable to be hacked by DDoS attacks and brute force attacks, which may result in the inclusion of the device in malicious botnets. The rate of these attacks outpaces the annual growth of IoTs. Cybersecurity firm Kaspersky reports that just the first half of 2018 saw 3 times the number of attacks on IoT devices as the whole of 2017. A particularly infamous attack was the Mirai botnet attack in September 2016, where close to 300,000 IoT devices were hacked using DDoS methods. The hacker targeted IoT devices such as IP cameras, printers, and routers with weak or factory set passwords. This was not a malicious attack but an attempt by the hackers to find a way to cheat and get ahead on the cult classic multi-player game Minecraft. Another ingenious IoT attack was the hack into the high security of a top casino. The hackers found a way to enter the casino’s network via a smart thermometer in an aquarium located in the casino’s lobby. Once on the network, the hackers managed to steal a database of high rollers and access to their personal data. Before deciding to use IoTs in the workplace, consult with your company’s IT team and make sure to implement the additional security measures necessary to protect the private, sensitive information stored on your network. Although IoTs promise a slew of benefits for individuals and industries, the potential security risks they pose are enough to make any informed user think twice about using an IoT device. As a business, you might not be able to completely avoid IoT devices, but there are steps you can take to mitigate these security risks. Turn off Universal Plug and Play for IoT devices like printers, scanners, security cameras, and more. This reduces the risk of hackers gaining access to these devices easily and misusing them. Require users to set up strong passwords for their IoT devices. Do the same for company-owned devices. Keep IoT devices isolated from your core network or database. This ensures that in the unfortunate event of an IoT attack, your regular business will not be affected. Monitor and track IoT devices on your network around the clock. 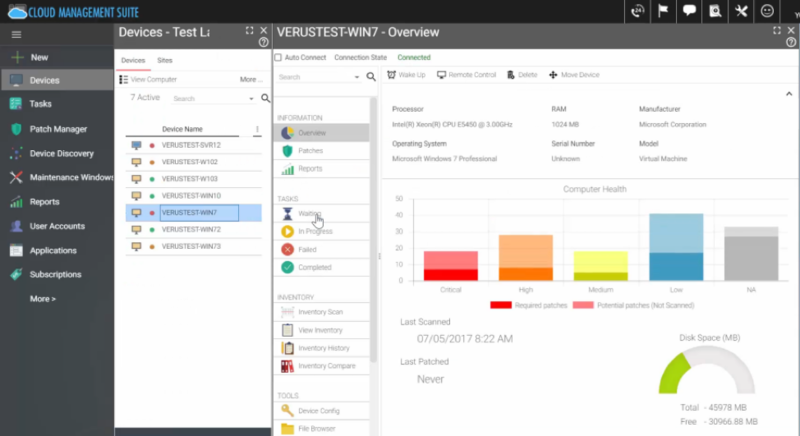 Set up a system to conduct automated scans and issue patches to all devices on your network on a real-time basis. Make sure any customer data you collect, as well as tracking and analytics methods you use with your IoT devices, is GDPR-compliant (or meets a similar regulation in your region). It may seem like the fast-growing IoT universe is constantly making you choose between security and productivity, but it doesn’t have to be that way. Using common sense risk mitigation or consulting top IoT developers and creating a dedication to continuously improving processes will ensure you and your company enjoy the best of both worlds. Jaydip Parikh is the founder of digital agency Tej SolPro. He has more than 15 years of experience in sales and marketing. 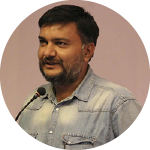 He has delivered lectures on digital marketing, entrepreneurship, and the impact of social media at top institutes across India. He regularly speaks at various conferences and events, both online and offline. You can follow him on Twitter @jaydipparikh.